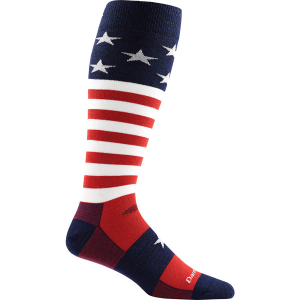 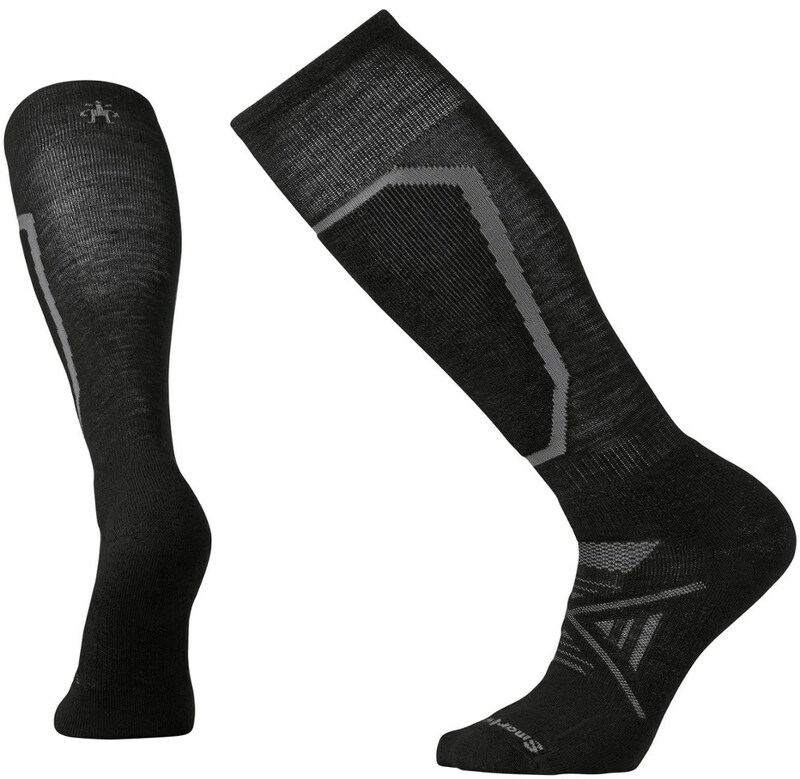 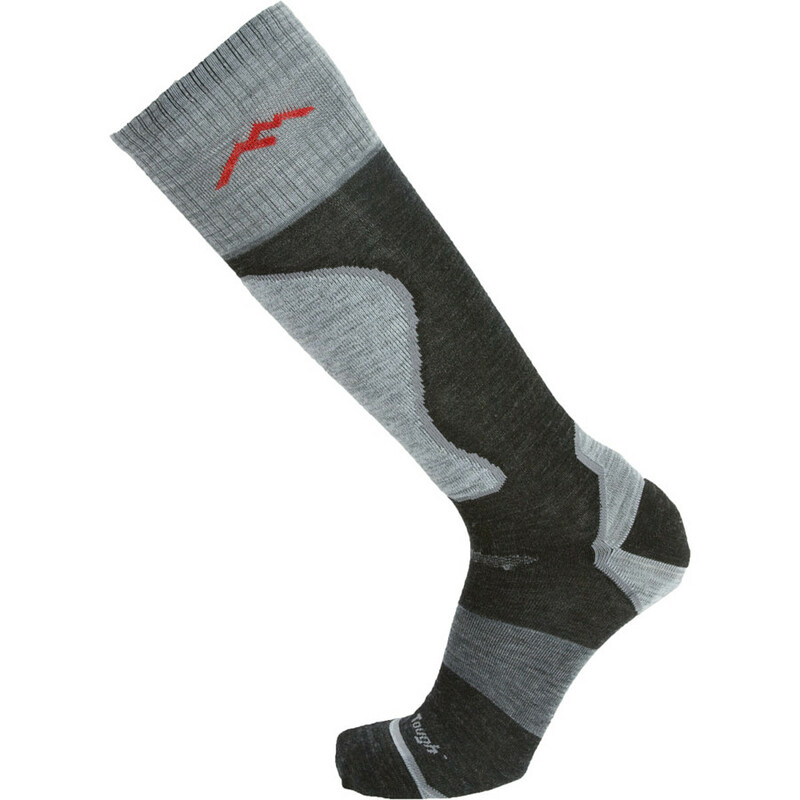 Coveted by skiers and riders for its True Seamless construction, the Darn Tough Ski/Ride Over-The-Calf UltraLight Sock provides plenty of warmth and a smooth, streamlined fit. 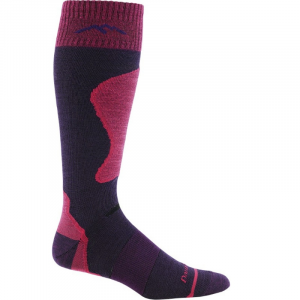 Nothing feels better than the warmth Merino Wool provides when the mercury drops. 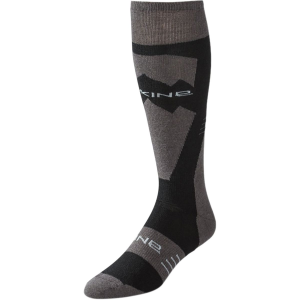 Since Merino Wool is naturally antimicrobial this sock repels bacteria and odor. 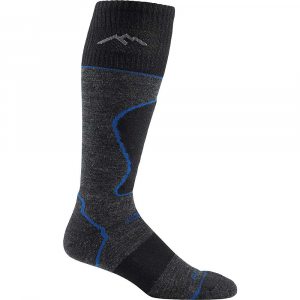 Ideal for skiers and riders who are looking for a sock that interfaces seamlessly with their boots and allows them to feel the terrain underfoot. Darn Tough's Padded Ultralight gives skiers and riders a sock that provides cushioning to eliminate pressure from forward lean, buckles, and power straps, while flat jersey construction meets the demands ofthe shell-fit customer.